Ultimately, I know I’m a good mom because I don’t smoke crack and I haven’t forgotten my baby anywhere…yet . But there’s this silly part of me that worries, “I don’t want them to think I’m a bad mom.” It’s a phrase I use too much these days. My hubby is constantly flabbergasted that anyone would call me a bad mom, yet I’m always so preoccupied thinking about it. I put a lot of pressure on myself to be “perfect” at my new job as Mummy. I guess I’m going to have to get over my perfectionist ways, and quickly! I’ve learned that baby + perfect don’t mix unless you’re talking about how perfectly cute she is! Things don’t always go as smoothly as you envisioned, but hopefully everyone survives and maybe you learn what not to do next time. I guess this is probably how my parents felt at one point, and look at me — I still have all of my fingers and toes. 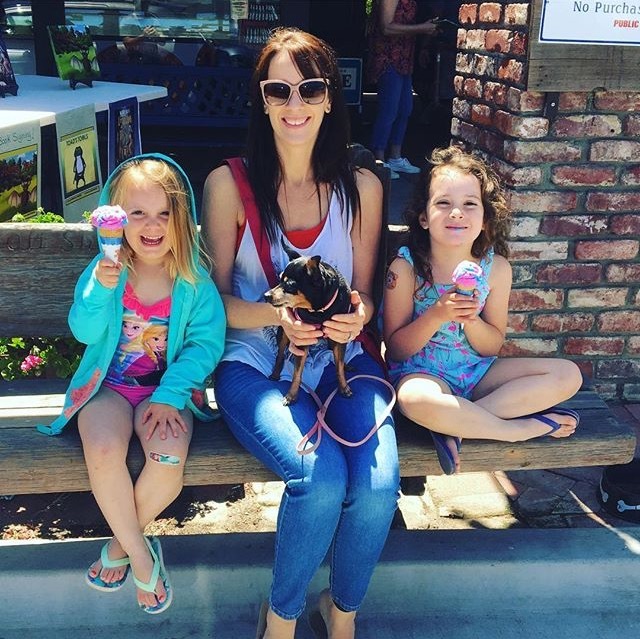 Guilt fuels my “bad mom complex.” Take for instance, this blog, which I love working on. Most days I write while she naps, but other days I find myself typing in between playing with her while we sit on the floor. I should be focusing all my attention on her, yet I’m not. Nothing like a baby trying to eat a power cord to get you to stop working though! Yikes! I try to rationalize my guilt by saying that a mom who works from home would be battling the same issues and since writing is my job (even though I don’t get paid for it) it’s okay. Yet somehow the “bad mom complex” rages on! It’s so easy to say “The hell what other people think,” but it’s another thing to actually teach yourself this carefree attitude once you’ve been a people pleaser since you were born. I guess I’ll just keep doing what I’m doing and hopefully when she’s thirty she’ll have all of her fingers and toes. « Super Nanny = Birth Control? I have the same complex. It’s easy to say I don’t give a damn what others think, but internalizing that message is the tricky part. Maybe this will subside with baby #2? Thanks for your confession : ) Makes me feel better! And yes, I totally agree…by #2 we’re gonna be seasoned pros! Ha I feel ya. 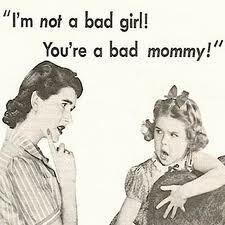 My mom has yelled at me for calling my self a bad mom so many times. Im my biggest critic. Since being a mom is all new to me, I find myself second-guessing everything!